To hide distracting plane animation, click here. To show plane animation again, click here. A lot of early airplanes and would-be flying machines look pretty goofy to modern eyes. What in blazes were they thinking, we wonder. Of course, these days we know what a working plane should look like, back then they didn’t. Two wings? Four wings? Ten wings? Tail in the front or back? Or front and back? Should the pilot sit or lay down? Nobody really knew, so they tried all sorts of things. As we shall see in our brief survey of peculiar aircraft that actually flew, after a fashion. Needless to say this incredibly complex triangle crazy contraption didn’t come up to scratch. Which at least saved us from having the airways run by the phone company. 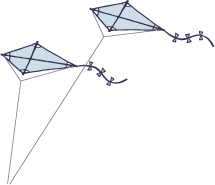 As we saw above, tetrahedral cells were not such a great alternative to wings to get a flying machine off the ground. Planes with actual wings, monoplanes, biplanes, triplanes, on the other hand, all worked admirably. How about a plane with a hundred wings? Fifty times as good as a biplane, right? At least that seemed to be the thinking of intrepid London-born aircraft pioneer Horatio Phillips. His obsession with more is more took on ludicrous proportions. 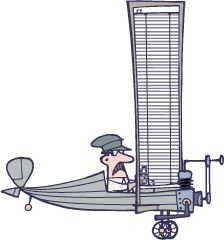 His 1907 two hundred wing multiplane (that’s right, 200 wings) looked like a crate made out of venetian blinds. Thing was, it worked. Barely. 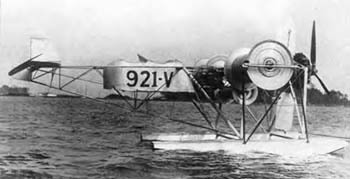 He used it for the first, though very short, powered flight in England. At least he limited his contraptions to a single engine, so we’ll give him that. 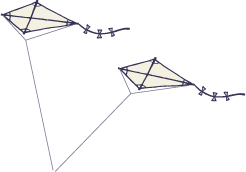 Despite how absurd these multiplanes appear today, Mr. Phillips wasn’t a completely round the bend eccentric. 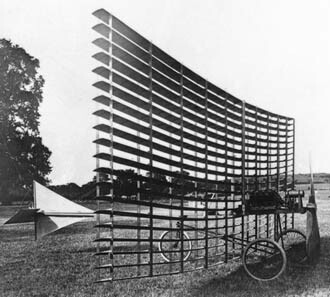 In fact, he helped pioneer proper airfoil design, though seemingly at the expense of everything else that would make flying practical. Such as his novel circular runways. We can only guess that was so everyone could have an airport in their backyard. By middle of the Great War standard airplane design was pretty well worked out. 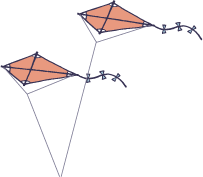 Wings, not tetrahedral cells, were the way to go. Limiting the number to less than you could count without taking your shoes off became standard practice. Wing warping also went by the board. Tails were at the tail and wings were up front, rigid and well braced. Well, most of the time. A long story short, two planes, two flights, two crashes, two dead test pilots. Pretty dreadful, if not criminally homicidal. The doc also had a plan to fly to Germany and kidnap Kaiser Wilhelm to end the Great War. Con-man or madman? Who knows? The most amazing part of the story, he billed the U.S. government $100,000 for this utterly miserable contrivance. And the Feds paid him! It looked like a small plane with its fuselage over-inflated with air, like a winged pufferfish. It was the Stipa-Caproni “intubed propeller” airplane of 1923. Also called the Flying Barrel. Still, it wasn’t as crazy as it seemed, though it certainly looked the part. The more we look at it the more we’re convinced it was something bought by Wile E. Coyote from the Acme Industries mail-order catalog. Only in real life, not a cartoon. Now for a change of pace. Not every plane with peculiar wing arrangements, or non-wings, was utterly nutterly. Some flew fine, but were deemed unnecessary. It’s like, you could build a working Rube Goldberg mousetrap, but why bother? 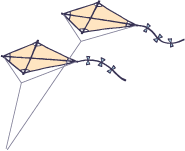 Three examples: the Flying Flapjack, spinning wings, and the Custer Channelwing. The Flying Flapjack’s entire airframe was a lifting body, something like a flying wing only shaped more like a pancake than a boomerang. Spinning wings came in various configurations (drums, paddles, tapered thingies) and rotated like mad on horizontal axes sticking out the sides or in front or sometimes over the pilot’s head. The channelwing’s engines drove air over a round trough which… we don’t know how the thing worked. Go to the links to see and learn all about them. We imagine the big problem with spinning wings is since they rely on their engines to create lift if there’s an engine cut-out the plane would drop like a rock. Turning an ugly duck into a literal blot on the landscape. We close with what might have been magnificent flying machines, and eventually were. Early jets and flying wings. What is more sleek and modern than the B-2 Stealth Bomber, a jet-powered flying wing? The first jet, or proto jet, appeared much sooner than most might imagine. That was the Coand&abreve; 1910 we mentioned about ten years ago. Along the same lines the origins of the flying wing goes way, way back, too. 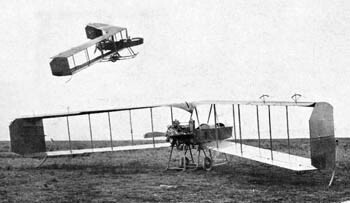 The very first flying wing was a biplane built and flown in 1910 by Englishman John William Dunne. It was also likely the first variable aspect swept wing plane to go airborne. Coand&abreve;’s jet, what he called an air reaction engine, failed because they didn’t yet have the technology to construct engines that could withstand the high heat it produced in operation. Why they didn’t pursue developing Dunne’s flying wing is not really clear. We guess some ideas are simply too far ahead of their time.